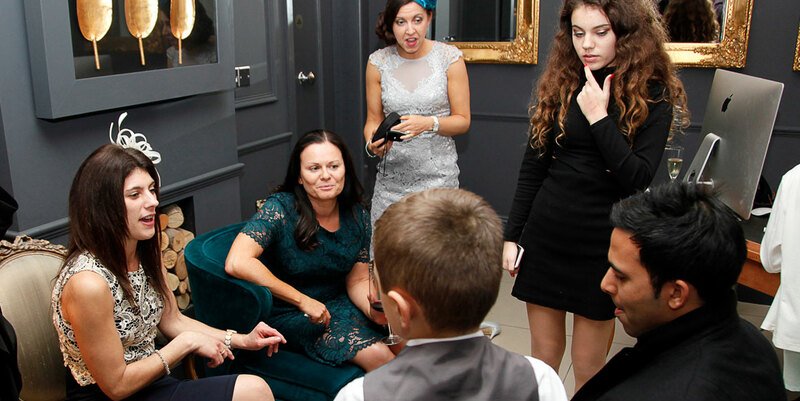 Looking for the premier wedding magician in London or elsewhere in the UK? Your wedding day is a magical day where your friends and family have come together to celebrate your marriage. 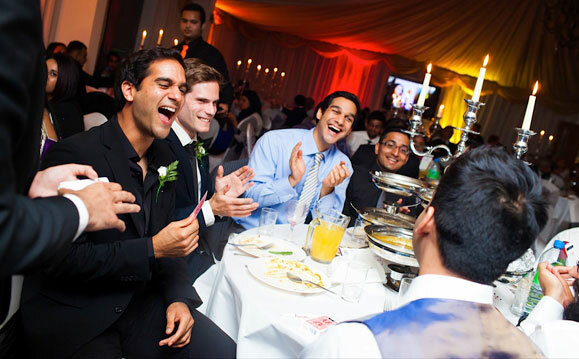 Given that weddings can run throughout the day, it is important that you hire quality wedding entertainment to keep your guests in the party spirit. "We booked Dr Magic for our Wedding from a wedding exhibition, definitely worked well as a crowd pleaser, looking forward to seeing the footage to work out how he does it." 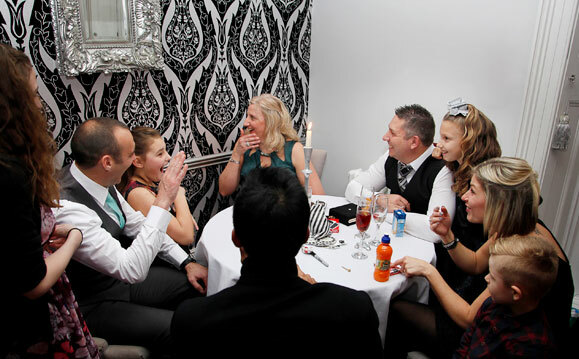 "We booked Dr Magic for my friends engagement party as a gift to entertain the guests during the drinks reception. He was out of our budget but we went ahead as he was highly recommended to us. We have definitely not regretted this decision after seeing the impact of his amazing magic and unique charisma at the party! Good value for money, highly recommended and he knew how to get the party started! Think this guy will be the next dynamo!!! Thank you"
"We booked Dr MAgic for our wedding reception. As already stated he is extremely professional...very quick at replying, no delay, explained all the packages very well. He turned up on the day earlier than expected and went about entertaining everyone with no problems whatsoever. Seeing has magic up close in person really is quite astonishing. ou really do have to see it in person!!"